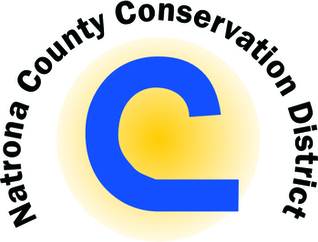 What Does the Conservation District Do? The Natrona County Conservation District plays a major role as a steward of the conservation of naturalresources. Since the use of natural resources is such an integral part of our economy and culture, the Conservation District must focus not only on our natural resources, but also on the people and communities who are dependent upon them. Natural resources include, but are not limited to, soil, water, air, trees, forest, grasses/rangelands, wildlife and agriculture. Natrona County Conservation District works closely with the Natural Resource Conservation Service, Farm Service Agency, Natrona County Weed & Pest, the University of Wyoming, and many others, to ensure that wise practices are utilized in farming, ranching and range management. Agriculture bases its very existence on sustainable use of our natural resources, while the world's human population bases its existence on sustainable agriculture. The District's responsibility is to provide leadership in, and implementation of natural resource management programs, which will encourage improved stewardship of all resources as well as enhance the environmental quality of our surroundings. storm water and decrease storm water pollution. Monitor conversion of agricultural lands. Promote use of bio-solids for soil enhancement. Reduce soil erosion throughout Natrona County. Preserve and promote healthy habitat for wildlife. Range Management & Conservation Education. Educate elected officials and leaders.